Butterfly_Scientist 020, originally uploaded by Smithsonian National Museum of Natural History. In my opinion, leaf-wing butterflies have some of the most elegant and effective camouflage in the forest. 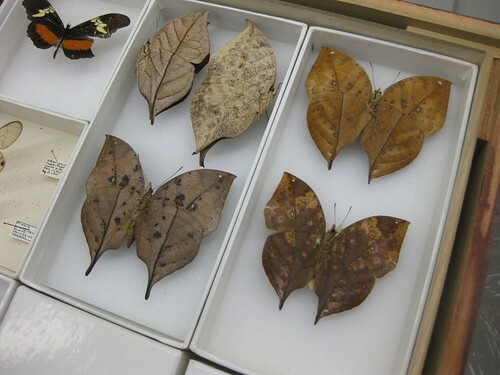 In this photo from the butterfly collections at the Smithsonian’s National Museum of Natural History, Bob Robbins has pulled out some butterflies that look like fallen beech leaves.